The new Rancho Loaded quickLIFT technology includes the application-matched of quickLIFT with the addition of coil spring and upper mounting plate and no extra cost. Rancho Loaded quickLIFT is finished in liquid metallic silver. This new product is very easy to install for shops and do-it-yourselfers because it is one full suspension unit and generally can put on the vehicle in twenty minutes per corner. Loaded quickLIFT provides 1 to 2.5 inches of additional lift, allowing for the use of larger wheel and tire packages up to 35 inches, which provides an aggressive vehicle stance. Rancho Loaded quickLIFT uses nine point tuning technology that easily adjust your ride quality and performance. It is also compatible with SEMA award winning Rancho MyRIDE Wireless Controller which allows you to control the units wirelessly from the cab. The Rancho Loaded quickLIFT is covered by a limited lifetime warranty and exclusive 90-day Performance and Ride Guarantee, an offer that lets enthusiasts try the Loaded quickLIFT product for 90 days. Consumers can return the product within 90 days for a full refund of its purchase price. Check our www.gorancho.com website to find the Loaded quickLIFT part numbers for your vehicle. Rancho RS999931 QuickLift Complete Strut Assembly -- Jegs ? Selection, Value, Lifetime Support Since 1960? Rancho RS999931 QuickLIFT Front Strut Assembly for Toyota Tundra / Sequoia -- 60 Day Returns. Fast Shipping. Trusted Dealer. Rancho Loaded QuickLift Complete Strut Assembly fits 2000-2007 Toyota Sequoia Tu -- Price Is For 1 - Adjust Qty As Needed. 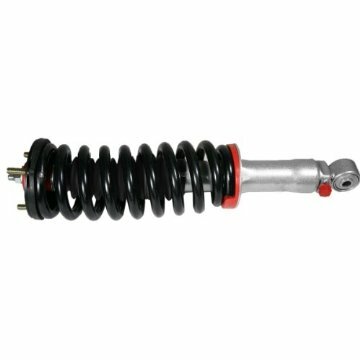 Store: gotoautoparts Condition: Brand New Price: $244.13 Total Price: $244.13 Buy It from gotoautoparts Rancho Loaded QuickLift Complete Strut Assembly fits 2000-2007 Toyota Sequoia Tu -- Price Is For 1 - Adjust Qty As Needed. Rancho RS999931 QuickLIFT Quick-Strut Fits 00-07 Sequoia Tundra -- Authorized Rancho Dealer. Fast & Free Shipping! Coupon Details: Get this special price with 10% off your entire order with coupon code WELCOME10 during checkout.